Do you want to create a trail which itinerary is perfectly known by you, but did not have the chance yet to record? 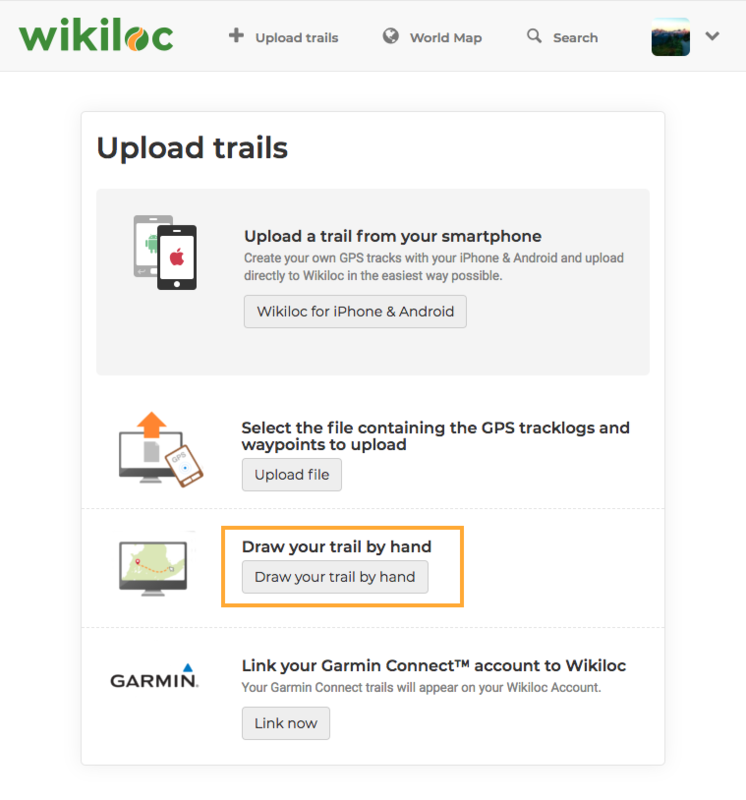 From your profile, click on the "Upload Trails" on the web header. Chose the "Draw your trail by hand" option. Write a trail starting point (only to position the map at the approximate start of the route. If you don't write anything, the World map will be displayed by default). Click on the starting point (you will see how the rout has begun to be drawn). 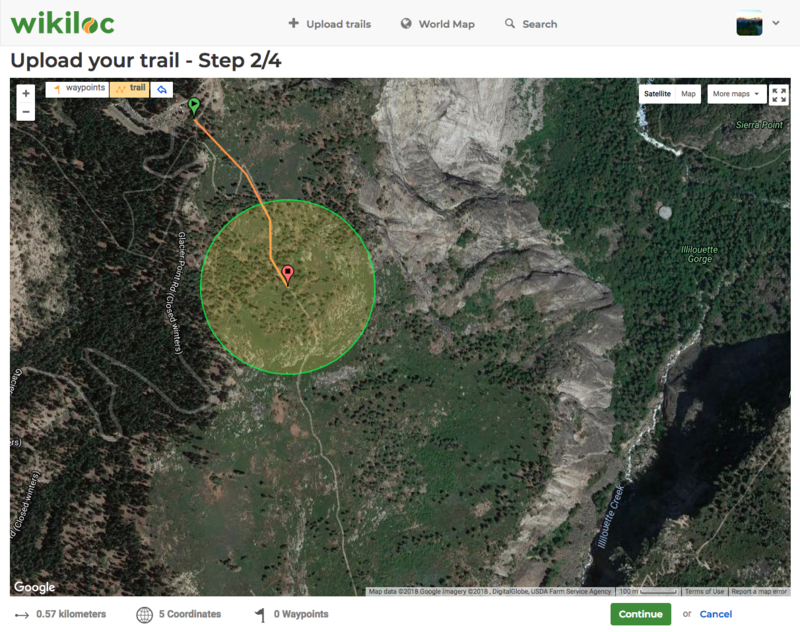 Add points by clicking on the map within the green circle (which restricts max. distance between points). If you mess up you can always click on the last button of the map header bar (arrow to go back) or drag it to another position within the green circle. Add Waypoints with the left button of the header bar. End the trail click on the "continue" button (bottom right of the screen). Fill in the trail details: name, description, difficulty, privacy, etc.